I probably should have let that particular tennis ball go. But I extended the racket, cruised through the air on my 4” vertical leap and made contact with a crisp cross-court snap for a winning point. And then I landed with my left leg extended, the knee fully straight, with enough force on the hamstring to tear the whole tendon off the bone. I crumpled to the court, unable to even roll over until the EMT’s showed up with morphine and stretcher a half hour later. Jeff Feldman, a behavioral scientist of impeccable integrity, gave me the point but noted that, technically, I forfeited when they rolled me off the court to the ambulance on the first leg of my extended learning journey into the world of connective tissue. I’m still on that learning path; walking again with tennis still some months in the future. But I think I’m up to a jogging pace in the process of learning about how things in the body and community connect. My teachers are many, including a surgeon wise enough to not cut (thank you David Martin). And my wife Teresa, wise enough to know how I learn with the gift of the perfect book along with patient tending without crowding. And then that book (Job’s Body, by Deane Juhan). And my brother John who made sure I stayed on the couch. And many friends who tended, protected and connected to me (oh, and Arnica, especially the high concentration gel found in Europe). Spirit has been moving in weird and wildly interconnected ways for many centuries in Europe. Everything faith can and should and shouldn’t do has happened over and over. Hard to see the beauty amid it all sometimes, but worth the look. And, of course, my own body is speaking with a voice new to me, alive, cautionary and hopeful. My mental model of my body has been shredded and slowly reassembled, just like my tendon. I had thought of tendons rather like strings wrapped in duct tape glued to bones to be aimed this way and that upon commands by the brain up there a couple of feet inside my thick skull. I tore it loose; we must stitch it back. It turns out the body knows how to connect and reconnect things in astonishing processes. For a few weeks my favorite body cells were the fibroblasts, which began moving to the torn tendon even as I lay on the court, turning collagen into new fibrils exactly crafted for that place. They knew (long before the MRI showed the doctors) that my tendon was fully apart, but within range of bridging by new tissue. That new stuff, inelegantly called, “scar tissue,” is actually rather like epoxy. Tough like new rock, enough to hold, even for tennis again, if I give it a chance with the rehab. It’s not what you’d put there for a lifetime, but a good work-around for me, getting back 80% of the strength—quite enough to avoid having to risk surgery on what is a very sensitive part of the wondrous body. Go, my little fibroblasts, go. I’m embarrassed to say that I didn’t realize that connective tissue, while not technically alive, is utterly and totally part of the living, sentient thing that is me. Best understood as an organ system, not just wires and duct tape, the connective tissues are what holds us together and upright, everything in right relationship to each other throughout our every touch and motion, touch—even the misguided ones. It doesn’t just connect, but wraps, holds and signals what is going on; more like one of Buckminster Fuller’s tensile creations than those wired skeletons in high school biology classroom. Connective tissue is electric—literally piezoelectric—and the whole thing is buzzing all the time with technical details about tensile stress and body positions. It responds to, creates and connects emotions of fear, hope, anxiety, depression, sadness, elation (my 4” jump!). It constantly adapts to what I—the “me” that is my body and mind and spirit—wants to do next. Where Albert Schweitzer grew up just above the Reine River flood plains fought over constantly. I had long thought I knew something of the complexity of muscles, bone and nerves, but now realize I thought like a dull mechanic. Now I can hardly stand up for my gratefulness for the interplay of perception, intentionality, motion, balance, stability, let us say, presence. It is complexity raised to the edges of imagination; adaptivity expanded to infinite detail. In these weeks, while my body has been finding its way back to connection, we’ve been working hard at community scale doing the same thing. Why would we think a community of humans would be any less intricately bound than one human? Why would we think the trauma of torn tendon would be any harder to heal than the violence of race and grinding wound of poverty? I’ve learned in the physical therapy literature that this kind of hamstring wound has a high likelihood of re-injury, especially in dancers and soccer players who mistake initial mobility for full healing. Long after it looks ok, the muscle, ligaments and nerves are still restoring their strength. How long will it take to heal the continually acerbated wounds in our neighborhoods? Why the hell don’t people in certain neighborhoods just go get jobs? Why do they make such terrible health decisions? Why don’t they just get up and run? While I was in my early weeks of healing, trapped on my couch and calmed by hydrocodone, I alternated thinking about my disconnected body parts and the broken neighborhoods nearby. Whether you care about hamstrings or the cost of care for poor people, you have to begin with an accurate understanding of the complex living system; how it is connected and how it moves. You can’t just do this or that, a poke here, a service there. Just as you can’t fix one torn tendon without moving the whole body, you can’t fix one neighborhood problem without engaging the whole. You’ve got to work in detail with the whole in mind. Only someone on a bucket of hydrocodone would think of anything dumber than “population health management” as the name of the process of nurturing the health of a whole community. In fairness, few of those who use those words mean anything more than efficiently providing health care services to a group defined by having the same insurance company. A whole community—even one whole neighborhood—is beyond them. But even a random collection of human beings only sharing an insurance plan is beyond management in any meaningful sense. What is being managed is the flow of services, pills and treatments from a provider of those things. My hamstring has taught me that you heal the whole thing or stay back out of the way. That whole thing is alive and will heal, move and find its path. Those who only are about money should listen the most carefully to this quiet signal from the bone: nothing is more efficient or smart than a living system. If you want to lower services, focus on the healing of that system. But to do that, you have to listen to the living system, pause before its complexity, find your way into humility before its adaptive connections, respect its wounds, but seek the vitality on the other side of them. Don’t cut, just because you’re a surgeon. Come alongside the living system so that it can move on its path defined by its own healing, not by just by your services that you have to sell. You’re alive, too. You’re part of a larger system that is alive, too. This is how life works, even when you didn’t know it, before a lot of pain got your attention. Shingai helps the Taize seekers find their agency by experiencing their ability to move. 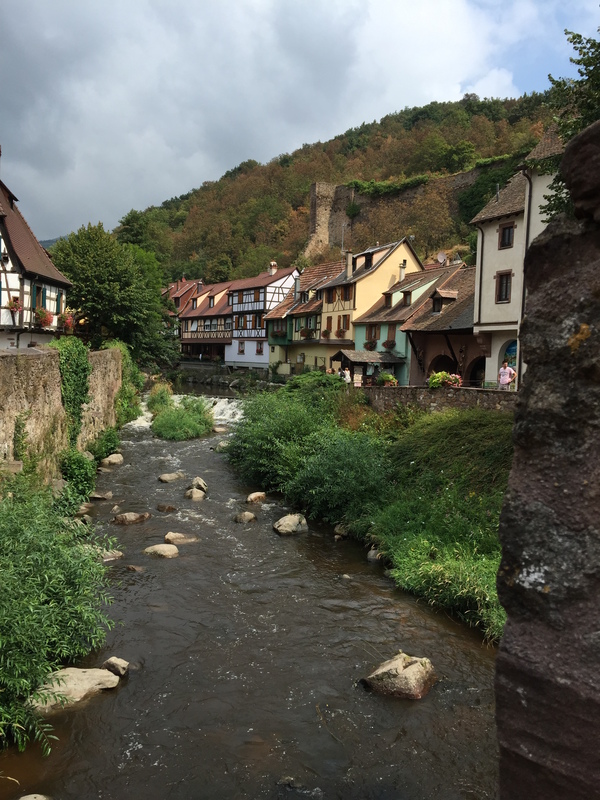 I spent my seventh week “post parting of the tendon” in Germany and Burgundy—still learning about connective tissue. 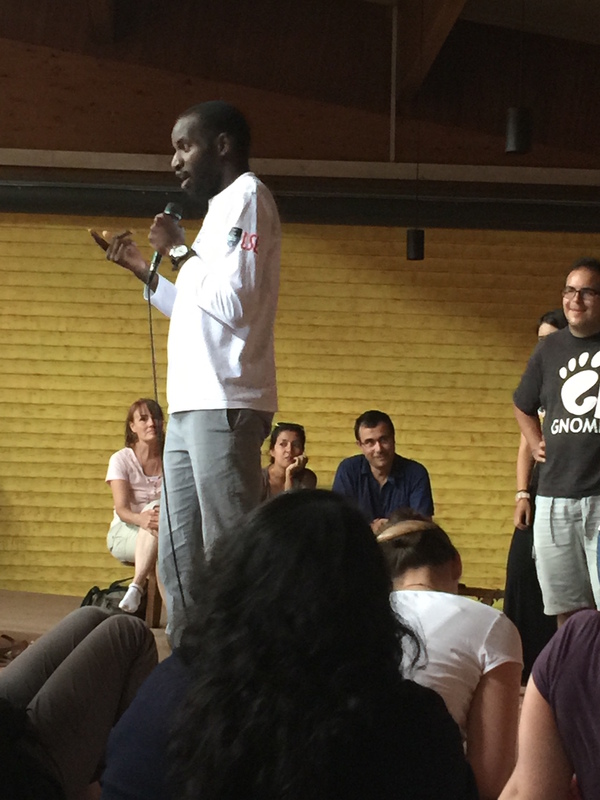 Jim Cochrane, TC, Sana, Shingai and I were asked to lead two workshops amid 98 others in a special week at the Taize Community. It was 75 years since the founding of the movement from the still-smoking shards of world war, 100 years since the birth of its astonishing founder, Father Roger, and 10 years to the day of his violent death during worship at the hands of a mentally ill woman. We were there talking about the Leading Causes of Life. Taize is a pure example of a “generative node” in the “communities of spirit.” On most weeks it draws together 2-5,000 (as in thousand) seekers and servants hoping for life. Most are young-ish, experiencing what Sana calls a “quarter-life crisis.” But there is enough grey to witness to many seven-eight’s life crises, too. 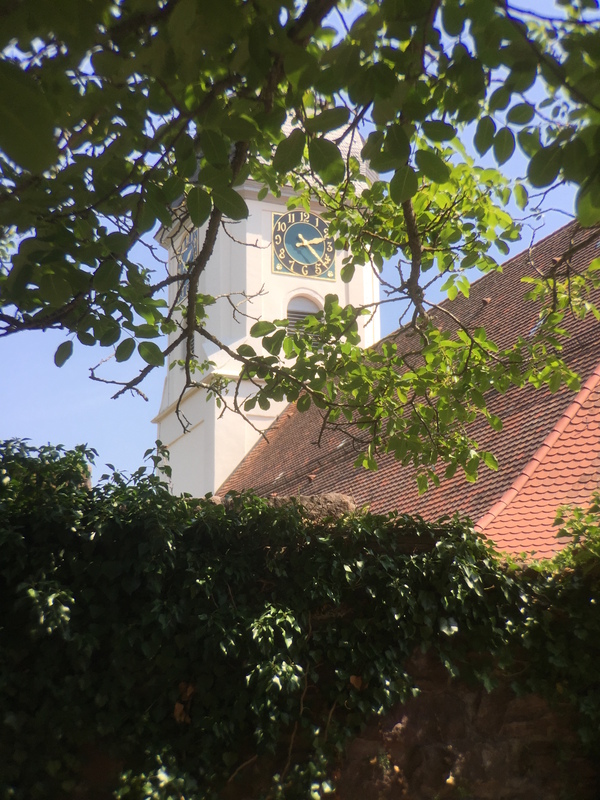 The Taize brothers are clear they have nothing to give anyone other than the hope of finding out how to give your own life away to something that matters. The week revolves on daily worship focused on prayer, silence and short repeated tunes built on scraps of scripture. Hardly ever do the songs or prayers offer up a whole sentence, much less a speech or didactic instruction. The rigid, predictable structure offers no place for any one leader to star or pound any one point or agenda into place. This refusal to use the audience is rooted in the bitterly earned European wisdom of crowds and leaders and their delusions of privilege. 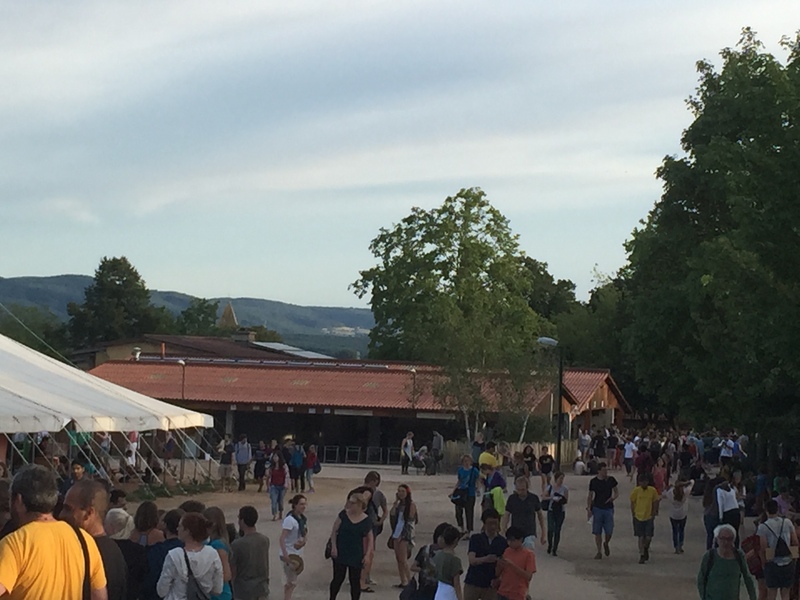 Taize is on a ridge only 10 miles from the vast marble ruins of the Cloisters of Cluny whose only rival for 1,000 years was the Vatican in Rome before its stones fed the savagery of the French revolution. 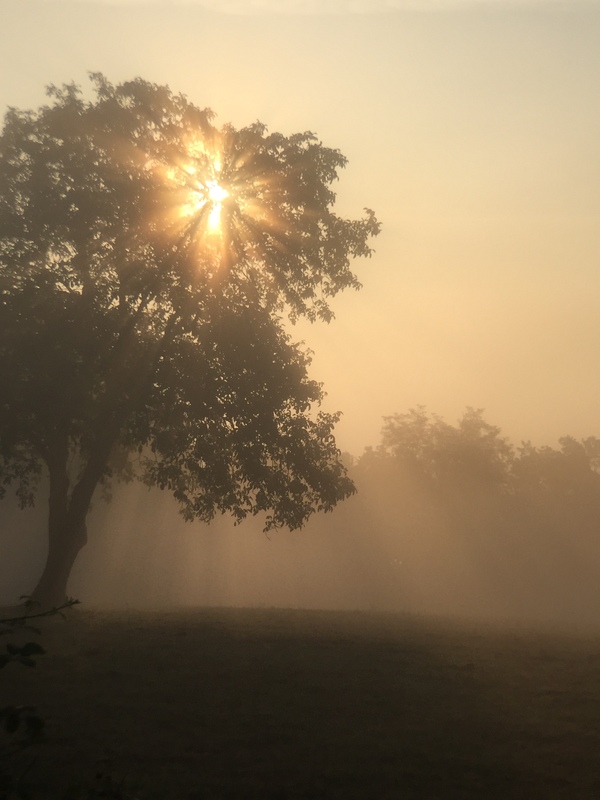 Taize channels the opposite message, building with spirit, released, not directed; released, not harvested. Thousands come week after week after week looking for clarity on how to give their live away. Taize is a generative node in a complex living system of global scale, deeply informed by pain and trauma, both immediate and historic. It hopes not for the next world somewhere removed into abstraction or the heavens, but for the next world possible here, soon; please God may it be. We were here because of Dr. Christoph Benn (see the earlier post) who is hoping the communities of spirit could lend energy and intelligence to accomplishing the grand turning that has only become possible to see quite recently. If the world connects as it clearly can, by 2035 we could be alive in a global living system with rough equality between rich and poor countries in terms of life expectancy and the gross measure of health. That’s worth hoping for. But it will only happen if lifted by the radical spirit of Taize and a thousand other generative nodes like it. I’m still talking about hamstrings and connective tissue here, the exquisitely nuanced and complex ways by which we find our way into right relationships, aligned by our most mature faith and relevant science. That is the work of anyone with a heart, mind and spirit—and muscles to move us together and along the path of healing opening up. It is amazing that, for all we have done and not done, that healing is there to be found, that we can participate in the great work of our time in our small, but collectively adequate ways. This is how life works, even when we didn’t know it, before a lot of pain got our attention. Thanks for this Gary. Its a shame we have to endure pain and injury sometimes to achieve fresh insight, but I guess that is always our hope in redeeming suffering. I am caught up at the moment trying to conjure new language appropriate to what is the unity that is mind and body, and how this is so profoundly influenced by relationship to others. You have opened up some stimulating ideas on this in the post. I don’t have much time these days for the idea of a global system for managing the health of the people. Rather I think that people themselves have the resources and capacities to manage their health amongst one another. We live with such a parched view of what it is to be persons amongst people – and what it is to be organs forming the self. Perhaps herein lies some insight for progress. Keep the ideas flowing! Thanks.